What Location is the Leader for Outsourced Contact Centers? 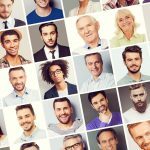 Home » What Location is the Leader for Outsourced Contact Centers? It’s no secret that much of the outsourced contact center industry maximizes profit by leveraging staff in offshore locations. Now, before you read any further, try to answer this question: What offshore location is the leader in the contact center industry? If you guessed India, you should definitely keep reading. Labor Cost – U.S. call center employees make an average $32,000 a year. In India they make $7,000 a year and in the Philippines, call center employees make about $4,000 a year. Given these numbers, the cost advantage of the Philippines should be pretty evident. Culture – According to Mr. Milligan, the Philippines has been very Americanized since its days as an American colony from 1898 to 1946. The speak English as a native tongue and enjoy following American culture like the NBA. English Language Skills – As alluded to in #2, outsourcing call centers to the Philippines results in effective communication skills. In the Philippines, English is the primary language of roughly 3,500,000 people. In India, English is the primary language of a mere 250,000 people. 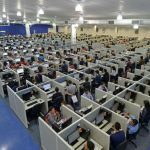 This obviously gives the Philippines an advantage as their call centers will require less training and offer fluent communication skills with little effort. In summary, we think Tom Milligan’s assessment of the India vs Philippines debate is spot on. However, even though many Filipino call center agents speak English as their primary language, ensuring that they are able to communicate effectively with other English speakers – especially Americans – is of paramount importance. Using a tool to assess and rank their communications skills can make the difference between a highly effective offshore operation and one that’s merely mediocre. Ultimately, ensuring that your call center is achieving its potential and maximizing ROI is of utmost importance – whether it be located on the mainland, in India, in the Philippines, or elsewhere.